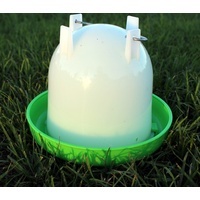 Quality plastic waterer. 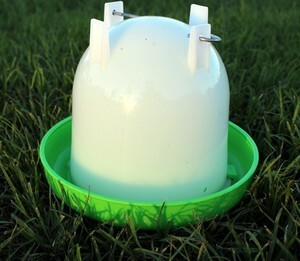 Straight sided drinker that birds can drink from without having to duck under the bulge of the water container. Wide bowl allows more drinking space. The container can be stood upside-down for filling. Plastic is UV stabilised.